So here we are, at the end of another year. 2014 will go down in the annals of my personal history as not being so great, but I got to the end of it, (which on some days, didn’t seem to be a likely outcome, and that’s the God’s honest truth). So now I’m facing the beginning of a New Year, and what I hope will be a less emotionally traumatic period than the past twelve months ended up being. Each day is still an unknown journey, I wake up most mornings to discover what the day might be going to hold, from the minute I open my eyes. I’m discussed my issues with friendship before. I have a three friend limit, I don’t assume anything when it comes to meeting other people and can’t understand why they would wish to be friends with me, when most of the time, I don’t even like myself. I constantly doubt myself as being valued as a friend and certainly don’t think I’m interesting enough to warrant being called a friend. And I never actually realize I’m a friend, until its pointed out to me, because I would never assume. A couple of things happened this year, (besides the breakdown) which caused me to think very seriously about this situation. One, was the outpouring of love, support and sympathy I’ve received over the past few months through Facebook (my main point of contact) and email (my other preferred point of contact). 1. Walk across to the park on my own. 3. Go to the shops without a keeper. 4. Visit a friend without needing to be dropped off and collected. And that, is my list of resolutions for 2015. While for most people, they could probably polish off this entire list on January first, I suspect in my case, it may take a little while longer. But I think they’re doable, and with a little help, I hope to achieve them. 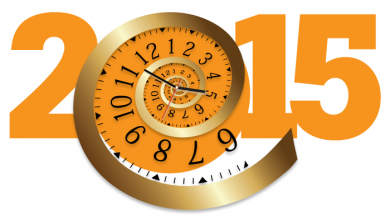 Best Wishes to Everyone for a Safe, Happy and Prosperous 2015.